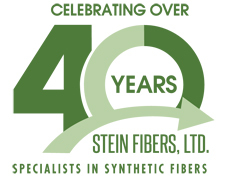 Stein Fibers, Ltd. is proud to have many graduates of the N.C. State Wilson College of Textiles employed by our company. Former students from the Textile Engineering, Polymer and Color Chemistry, Textile Technology, and Masters of Textiles programs are well represented. Since the passing of our founder, Sidney J. Stein Jr., we have awarded The Sidney Stein Scholarship to one student annually in the Wilson College of Textiles. The recipient must be a currently enrolled student, studying to complete a degree in textiles. Funding for the scholarship is provided by the Sidney J. Stein Jr. Fund at North Carolina State University. 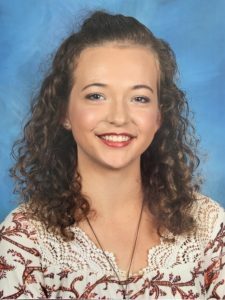 This year, Kate Morgan is the recipient of The Sidney Stein Scholarship. She is a freshman at the Wilson College of Textiles, studying Textile Technology with a concentration in Medical Textiles. Kate was raised in Kernersville, North Carolina. Her father is also a College of Textiles graduate, completing his degree in Textile Engineering in 1992. Upon completion of her Medical Textiles undergraduate program at N.C. State, Kate hopes to work as an occupational therapist with special needs children. All at Stein Fibers are proud to have Kate Morgan as the 2018-2019 Sidney Stein Scholarship recipient. We congratulate this outstanding student and wish her the best throughout her time at the Wilson College of Textiles!